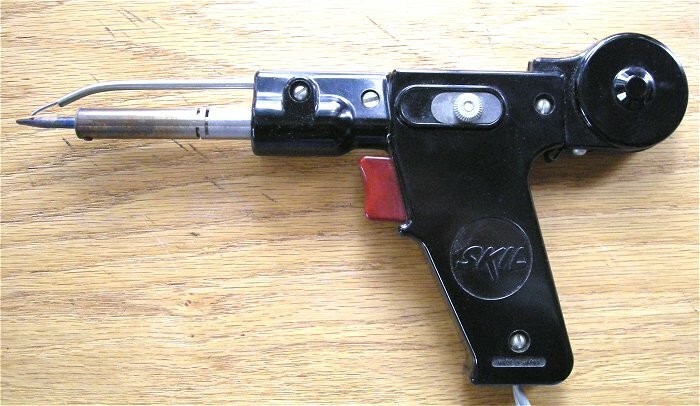 tip using the same hand holding the iron or gun, freeing the other hand. 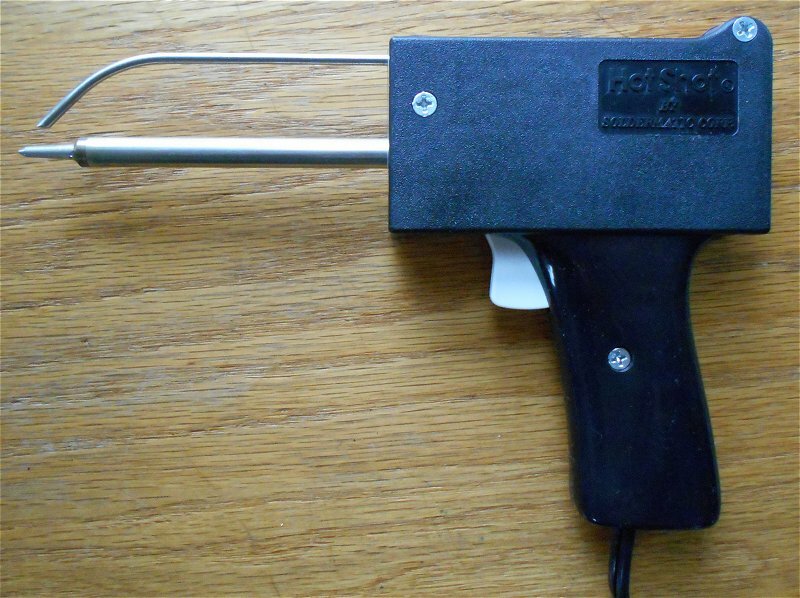 This "Freehand Solder Feeder" attaches to a Weller 8200 series soldering gun. 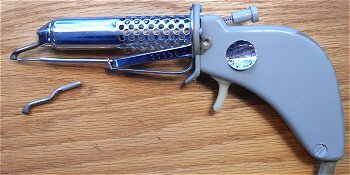 It was manufactured by Schurman Products Inc. 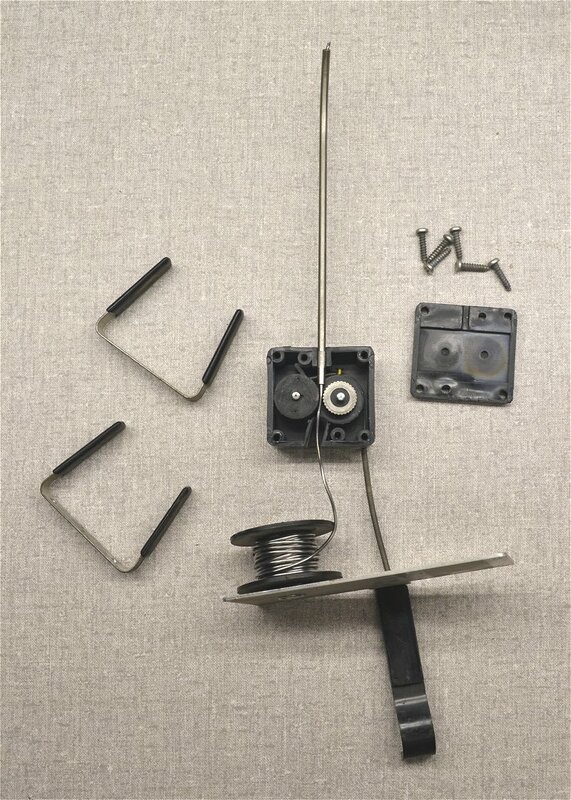 The solder is fed from a spool on the back and is advanced by pulling the lever on the left side down with your thumb. 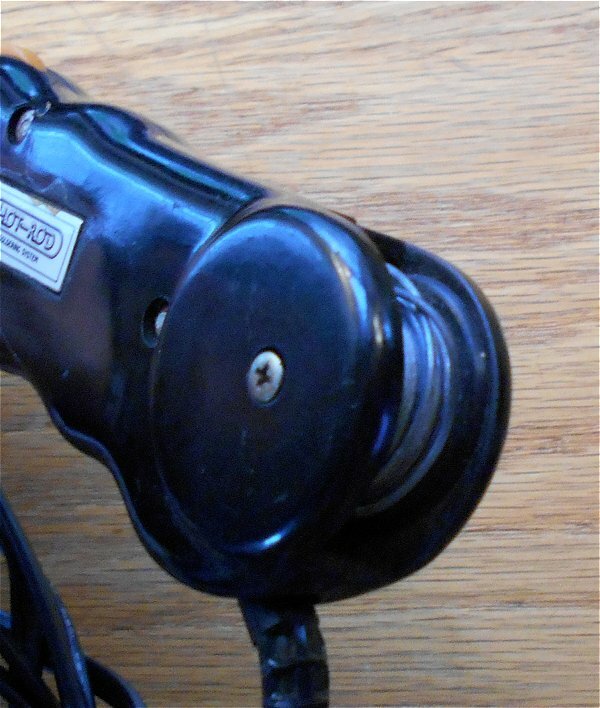 A cable from the lever advances the solder by turning a toothed wheel inside the housing. 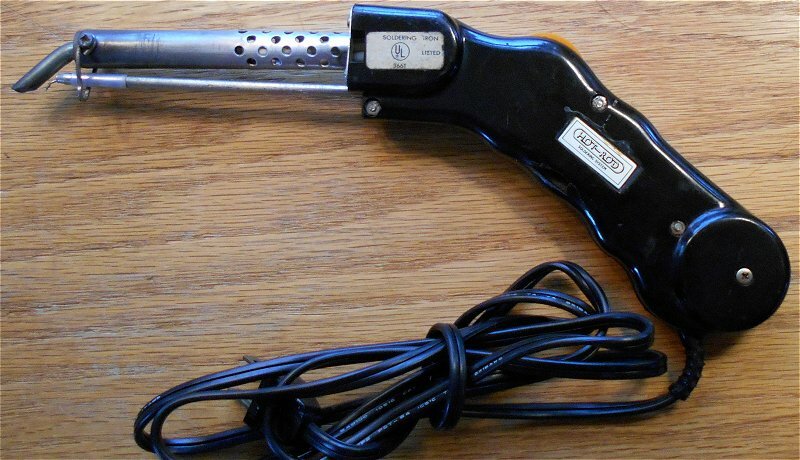 This 60 watt Hot Rod soldering Iron was patneted around 1974. 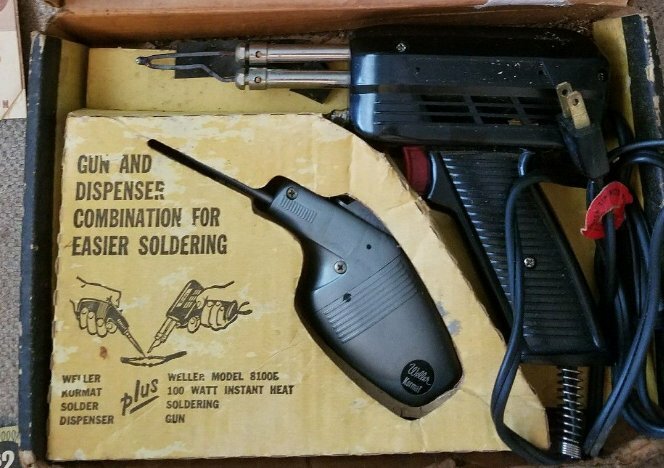 The solder was stored in in the handle and a thumb wheel on the top fed the solder to the tip. 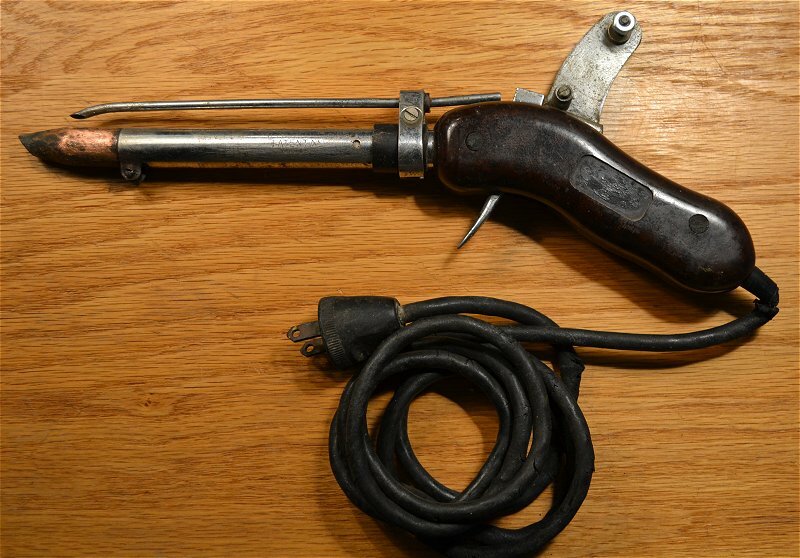 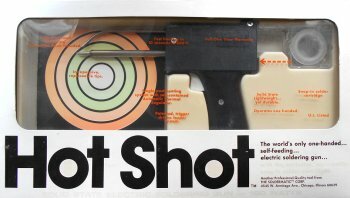 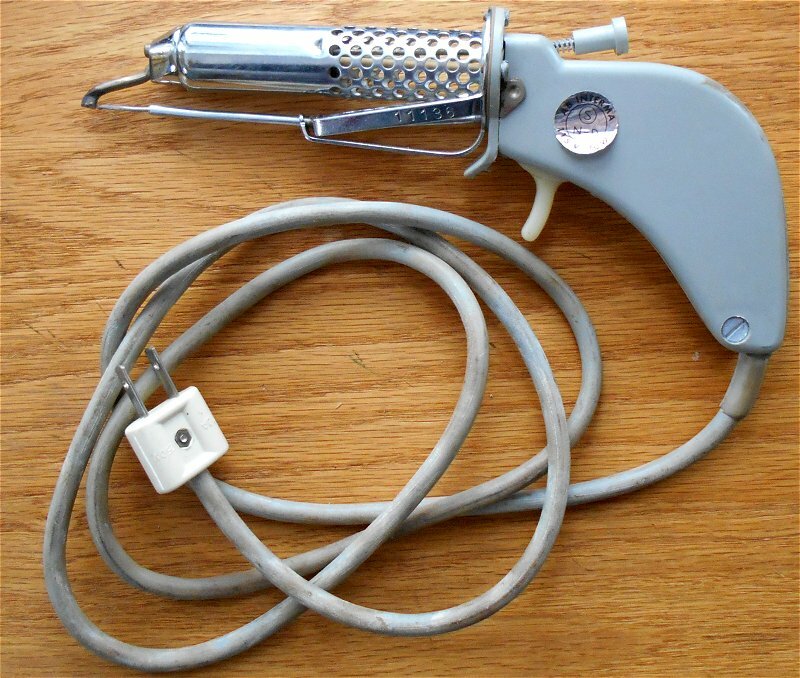 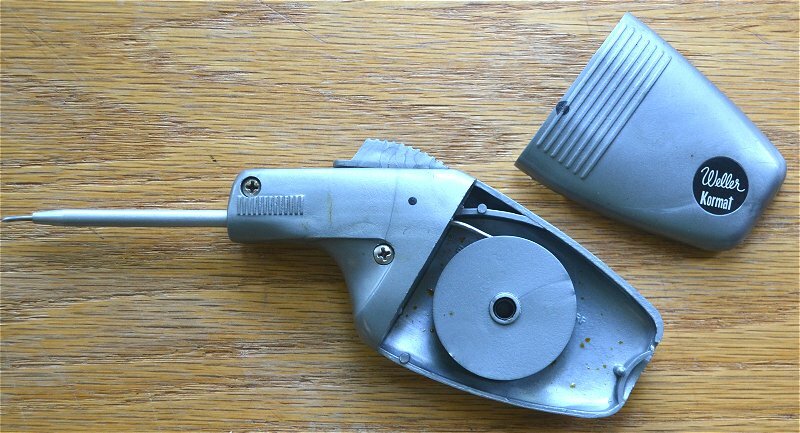 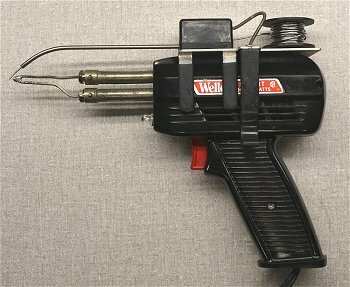 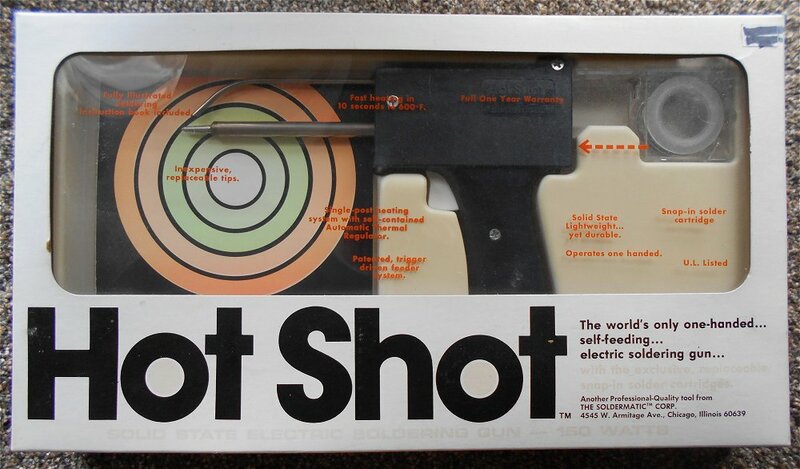 The Hot Shot One-Handed soldering gun was manufactured by The Soldermatic Corp., Chicago, Illinois around 1982. 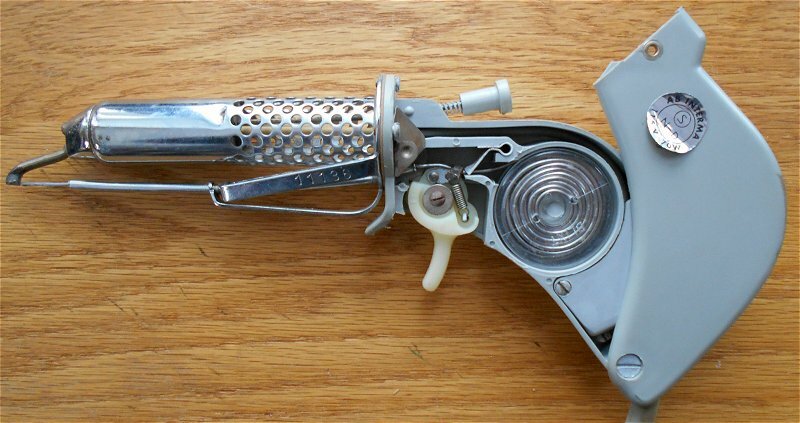 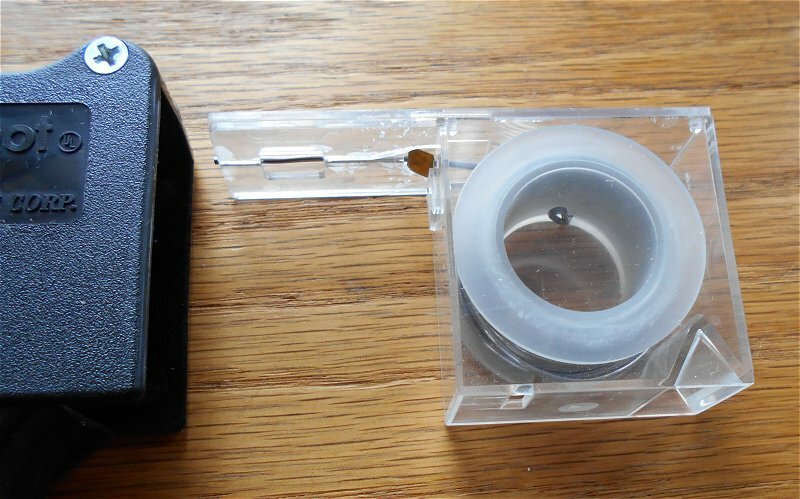 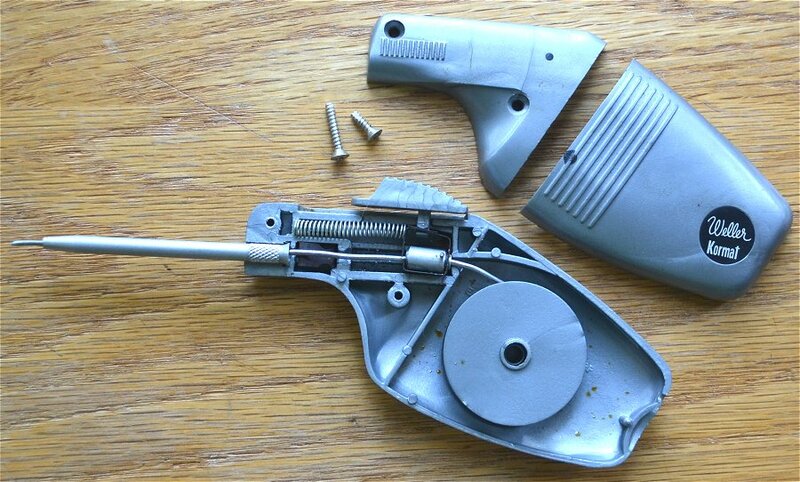 The solder was stored in a cartridge in the handle and the trigger fed the solder to the tip. 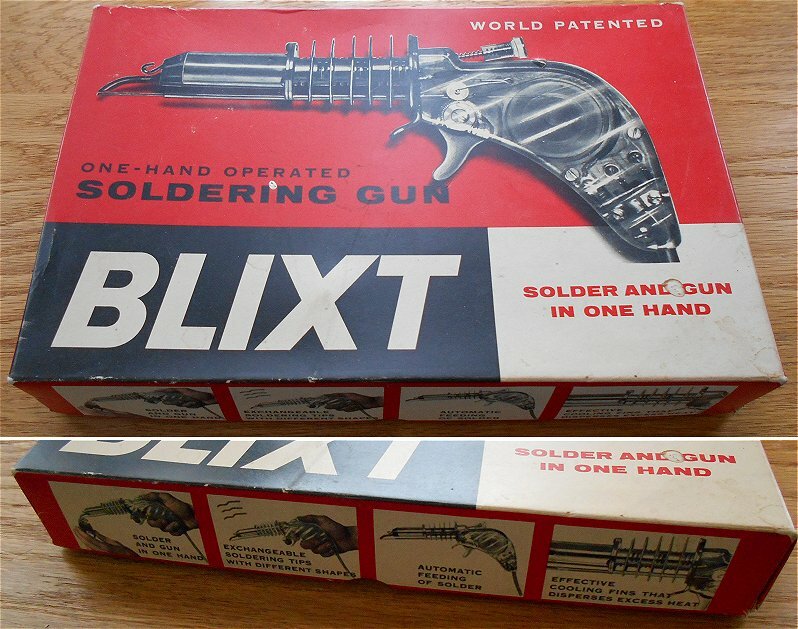 The box claims it's the world's only one-handed, self-feeding, electric soldering gun. 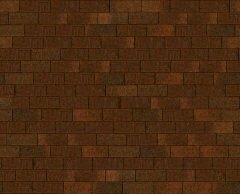 Guess we know that's not true. 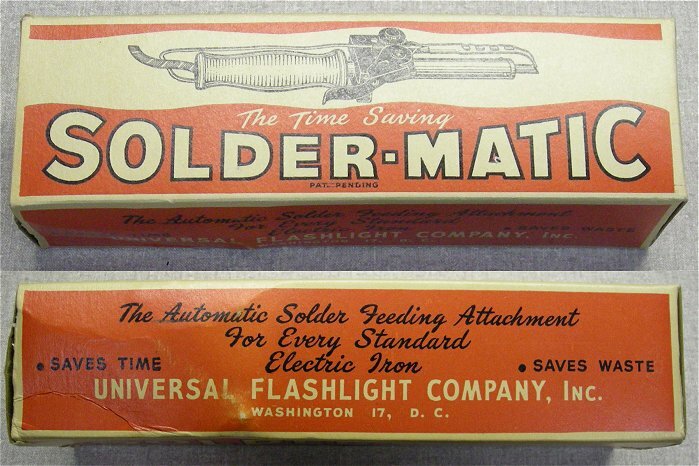 The "Solder-Matic" automatic solder feeding attachment is for standard electric soldering irons. 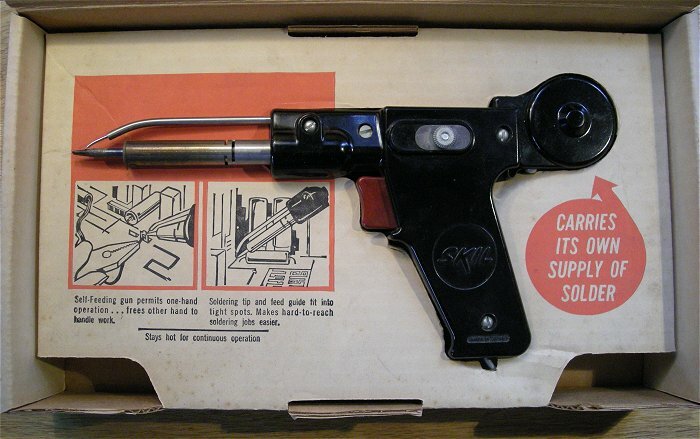 It was manufactured by the Universal Flashlight Co., Washington D.C. 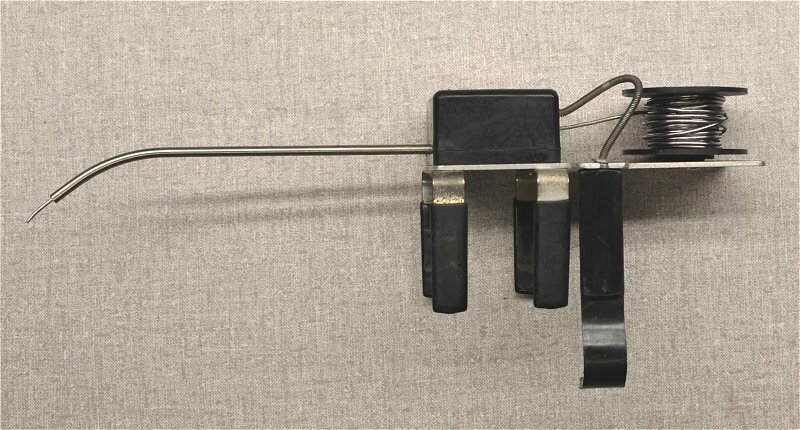 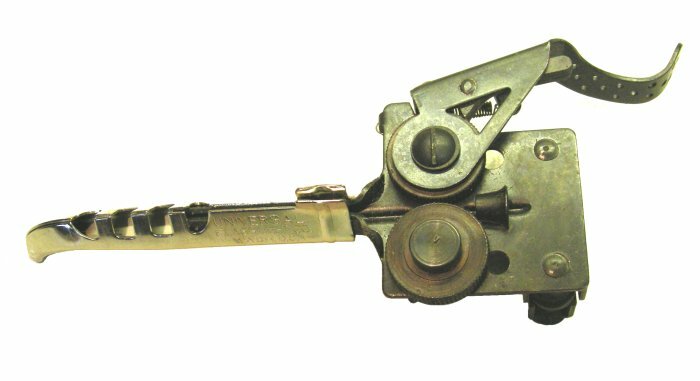 This unique device was designed to clamp on a soldering iron and feed solder through the chrome guide by pressing the lever on the right side. I tried it and it does work. 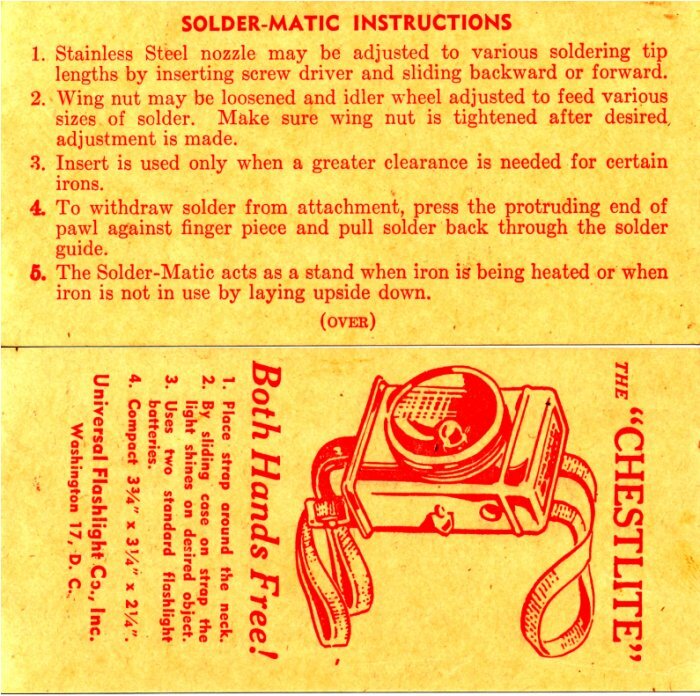 Ad from Electronics, January 1947 issue showing the "Eject-O-Matic" Automatic Feed soldering tool. 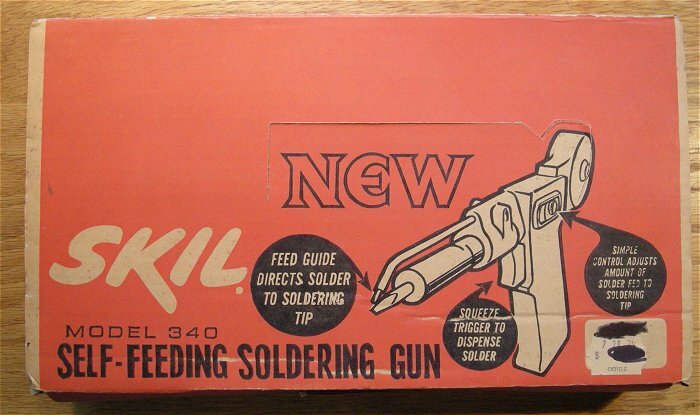 This iron containd a smaller roll of solder or could be fed from a larger external roll on the bench. 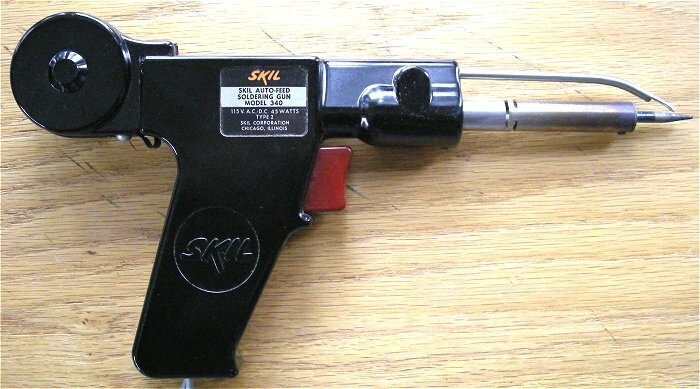 Manufactured by Multi-Products Tool Company, Newark New Jersey.